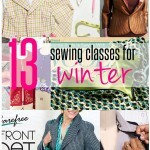 You are here: Home / Sewing / Sewing tips / 13 Sewing Classes for Winters You Must Take Now! 13 Sewing Classes for Winters You Must Take Now! 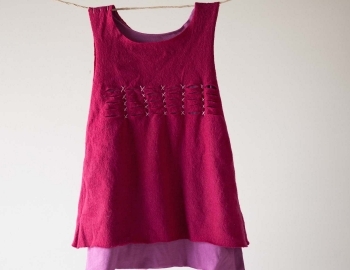 This is the best time to get your skills sharpened for winter sewing. Here are some of the classes that can be helpful. The classes listed here are perfect for sewing wonderful garments to keep you warm during the winters. Hand Sewn Felt Baby Booties This class is perfect for making several baby booties matching every outfit. You can keep the babies warm in style. 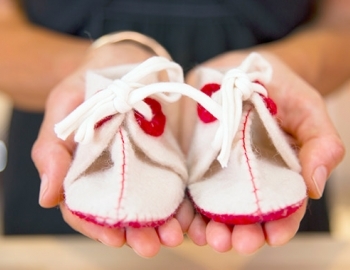 Link on the link above to learn to sew your own super cute baby booties. Wagga Star Quilt what a perfect time to sew a new gorgeous quilt for your bedroom. 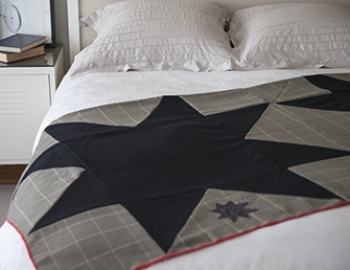 Check out this class where you can learn how to sew this Wagga Star Quilt from start to finish. These are the list of classes from Craftsy. Some of them are on discount as of18th September 2015. Sewing With Knits: 5 Wardrobe Essentials the knit fabric season is here so this class would be the best one to start off this season. Another awesome thing about this class is you get to learn to sew FIVE different tops; a fleece hoodie, a scoop neck shirt, a V-neck shirt, yoga shorts as well as Surplise dress. Price: $49.99 buy now at 20% off for just $39.99. The Essential Guide to Sewing With Wool A recently added class at perfect time. In this class you can learn how to prepare wool, cutting and making wool, interfacing for wool, pressing techniques and tools, lining and hem finishes as well as seam finishes.